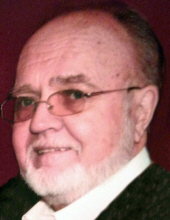 Celebrating the life of Stanley J. Mucha, Jr.
Obituary for Stanley J. Mucha, Jr.
Stanley J. Mucha, Jr. 70, of Hamden, beloved husband of 48 years to Diane J. Mucha, passed away March 31, 2019 after a courageous fight with a brief illness. He was born in New Haven July 27, 1948, son of Theresa Romanowski Mucha of Hamden and the late Stanley J. Mucha, Sr. Loving father of Kimberly Mucha (John Baldini) of Northford. Older brother of Paul (Nancy) Mucha of NH, Thomas (Phyllis) Mucha of Bethany, CT, Nancy (Dan) Ferraro of FL, and JoAnn (Martin) Neri, also of FL. He is also survived by several nieces and nephews, and his Uncle Gene. Stanley proudly served in the US Army in Vietnam and later was owner of Benham Builders. After retiring, you could find him on just about any golf course with his best friend Mike C. Prior to his illness, Stanley never missed his weekly bowling league, which he enjoyed for most of life. In his last few weeks, he could still be found at his weekly card game with "the boys." If you needed something to talk to him about, all you had to mention were his Corvettes, and the countless hours spent in the garage, at car shows, and swap meets in PA. He was never without his Corvette hat! His smile and witty personality will be missed by many. Friends may visit with his family Friday, April 5 from 9:00 to 10:30 a.m. at BEECHER & BENNETT, 2300 Whitney Ave., Hamden. Mass of Christian Burial will be celebrated in Blessed Sacrament Church at 11 a.m. Interment with Military Honors will follow in Beaverdale Memorial Park. In lieu of flowers, memorial contributions may be sent to The National MS Society, P.O. Box 4527, New York, NY 10163, or through www.nationalmssociety.org. To send flowers or a remembrance gift to the family of Stanley J. Mucha, Jr., please visit our Tribute Store. "Email Address" would like to share the life celebration of Stanley J. Mucha, Jr.. Click on the "link" to go to share a favorite memory or leave a condolence message for the family.